Thirsty, damaged hair? Mask to reverse it. Step 4) Anti-Aging Hair Care: REVERSE. 10 minutes to glossy, gorgeous tresses. Treatment mask infuses lifeless, aging locks with healing antioxidants and intensive conditioning to strengthen hair, reduce split ends and prevent breakage. Improves texture and elasticity of dry, damaged hair. Use it as an overnight transforming mask and wake with even more lustrous, shiny locks. 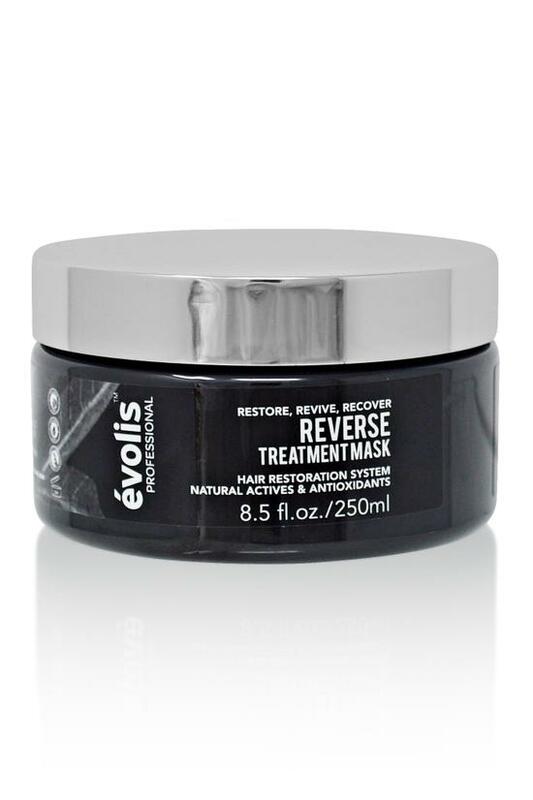 Using the latest scientific research on hair biology, the scientists of évolis Professional want to help you restore your hair to its lush, full youth. Their clinically proven botanical actives and antioxidants block the FGF5 gene (a key component in genetic hair loss) to promote hair growth and increase hair-growing follicles for healthy, shiny, volumized locks.